for $199,000 with 3 bedrooms and 2 full baths. This 1,600 square foot home was built in 2018 on a lot size of 0.280 Acre(s). Come to model home at 999 Stones Throw (yellow home with open house sign). Open floor plan gives you WOW factor when you come in. Master bedroom on opposite end of home than other 2 bedrooms. 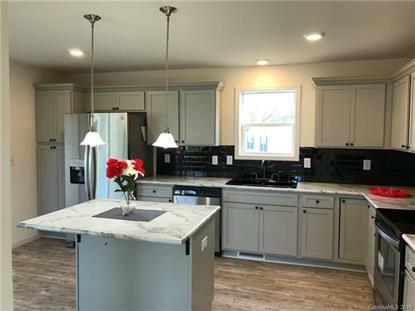 Upgraded MVP package includes: Stainless appliances, Grey cabinets, LED can lights in kitchen, lighting, luxury vinyl plank, dual sinks in master bath and garden tub with separate shower, linen closet, flood lights on front & back of home, gutters, nice deck. These are custom homes, only built as they are ordered with every detail picked out. Homes are built using engineered approach to produce homes in more efficient method which ensures home doesn't get weathered while getting built. NC Energy Efficient certificate uploaded with pics and 10 yr structural warranty provided by 2-10 Home Warranty. Cabarrus County taxes ONLY of $1, 108.15 per year and USDA area.